Some new cars lose more than three-quarters of their value within three years, according to Which? magazine. Cars built by Malaysian manufacturers Perodua and Proton lost the most value, the survey found. Prestige marques such as BMW and Mercedes lost the least, but were still worth only half their purchase price after three years. Which? urged buyers to take likely depreciation levels into account when choosing their next car. "It can be worth paying up front for a more desirable car that holds its value well," said Martin Coles, editor of Which? "Buying a cheaper car that depreciates rapidly is a false economy." Which? examined more than 3,800 new cars sold in the UK for how much they were likely to lose in value over three years. Which? experts predicted how much would be lost if the cars were sold after three years to a car dealer. Among small cars, the Mini Cooper and Mazda 2 lost the least, while the Perodua Kelisa and Kenari lost the most as a percentage of the original purchase price. 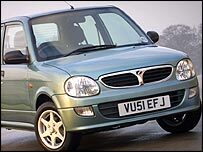 Tim Slaughter, managing director of Perodua UK, told BBC News that the Which? survey failed to take account of the cars' low running costs. "Overall ownership costs, including insurance and fuel, are very low. We believe our vehicles offer excellent value for money. 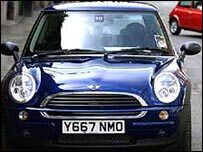 "What is more, pound for pound our cars lose less money than the Mini Cooper." He also suggested another factor could have influenced the survey results. 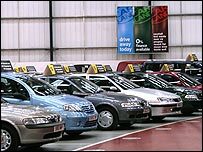 "We are a low volume car manufacturer - as a result there are not too many secondhand cars around to measure the price of," he said. Of medium size cars, Germany's BMW 1 series and Volkswagen Beetle held their value the best while the Hyundai Accent from South Korea and Proton Wira depreciated fastest. In response, Brian Collier, managing director of Proton, said the Wira had been replaced by a more up-to-date model, the Gen-2. "The Wira was a 10-year-old design and the car we have replaced it with enjoys advanced technology and improved build quality. "As a result, car industry guides suggest that the new model should hold its value well in future." In the large executive car sector, the Mercedes Benz C Class and Jaguar X Type were best, while the Korean Kia Magentis and Japanese Nissan Primera lost nearly three-quarters of their value.